Pride is a lofty view of one's self or one's own. Pride often manifests itself as a high opinion of one's nation (national pride), ethnicity (ethnic pride), or appearance (vanity). Pride is considered a negative attribute by most philosophies and major world religions, but some philosophies consider it positive. The opposite of pride is humility. Joseph Addison, Cato, A Tragedy (1713), Act I, sc. iv. Augustine of Hippo, as quoted in Superbia i in Thomas of Ireland's Manipulus florum (c. 1306). Pride, when permitted full sway, is the great undying cankerworm which gnaws the very vitals of a man's worldly possessions, let them be small or great, hundreds or millions. P. T. Barnum. 'Sundry Business Enterprises', Ch XIV, The Life of P. T. Barnum (1855). I like to be despised. Isaac Bickerstaffe, The Hypocrite (1768), Act V, scene 1. Evil does not approach us as pride any more, but on the contrary as slumber, lassitude, concealment of the "I." … It may make us so quickly contented, that any definitive fire will die down. The venomous, breathtaking frigid mist seems able … to harden hearts and fill them with envy, obduracy and resentment, with bloody scorn for the divine image and light, with all the causes of the only true original sin, which is not wanting to be like God. Ernst Bloch, Man on His Own (1959), B. Ashton, trans. (1970), p. 62. Robert Browning, In an Album. Raalt looked as if he were swallowing something that went down hard and tasted bad. He was; it was his pride. They are proud in humility, proud in that they are not proud. Robert Burton, The Anatomy of Melancholy (1621), Part I, Section II. Memb. 3. Subsect. 14. The one condition for spiritual progress is that we remain sincere and humble. Let us keep our end in view, let us press forward to our goal. Let us not indulge in pride, nor give in to our sinful passions. Let us steadily exert ourselves to reach a higher degree of holiness till we shall finally arrive at a perfection of goodness which we seek and pursue as long as we live, but which we shall attain then only, when, freed from all earthly infirmity, we shall be admitted by God into his full communion. If God has bestowed on us any excellent gift, we imagine it to be our own achievement; and we swell and even burst with pride. You should only boast about having nothing to boast about! Fausto Cercignani in: Brian Morris, Simply Transcribed. Quotations from Writings by Fausto Cercignani, 2014, quote 55. George Chapman, Eastward Ho (1605), Act III, scene 1 (written by Chapman, Jonson, and Marston). John Dryden, Spanish Friar (1681), Act II, scene 1. Jonathan Edwards, To Deborah Hatheway, Letters and Personal Writings (Works of Jonathan Edwards Online Vol. 16) , Ed. George S. Claghorn. Man is the proudest of God's creatures, the eagle is the haughtiest amongst the birds, the ox amongst the cattle, and the lion amongst the beasts of the field. Hence it was the image of these four which Ezekiel saw in his vision on the throne of God. Benjamin Franklin, Letter on the Stamp Act, July 1, 1765, reported in Bartlett's Familiar Quotations, 10th ed. (1919). In reality there is, perhaps no one of our natural passions so hard to subdue as pride. Disguise it, struggle with it, stifle it, mortify it as much as one pleases, it is still alive and will every now and then peep out and show itself; you will see it, perhaps, often in this history. For even if I could conceive that I had completely overcome it, I should probably be proud of my humility. Benjamin Franklin, in The Autobiography, Ch. VI, in a statement written in Passy (1784). Oliver Goldsmith, The Traveller (1764), line 327. "What is the Unpardonable Sin?" asked the lime-burner; and then he shrank farther from his companion, trembling lest his question should be answered. "It is a sin that grew within my own breast," replied Ethan Brand, standing erect with a pride that distinguishes all enthusiasts of his stamp. "A sin that grew nowhere else! The sin of an intellect that triumphed over the sense of brotherhood with man and reverence for God, and sacrificed everything to its own mighty claims! For pryde goeth before and shame commeth after. John Heywood, Proverbes, Part i, Chapter x. Hear ye, and give ear; be not proud: for the LORD hath spoken...But if you will not hear, my soul shall weep in secret places for your pride. Job 41:15 (King James Version) (on the Leviathan). And I will break the pride of your power; and I will make your heaven as iron, and your earth as brass. Catch him at the moment when he is really poor in spirit and smuggle into his mind the gratifying reflection, "By jove! I'm being humble", and almost immediately pride—pride at his own humility—will appear. C. S. Lewis, The Screwtape Letters (1942), page 69 in the Harper Collins 2001 edition, ISBN 0-06-065293-4. Prayer must be humble: God resists the proud, but gives grace to the humble. Here St. James tells us that God does not listen to the prayers of the proud, but resists them; while, on the other hand, he is always ready to hear the prayers of the humble. Alphonsus Maria de Liguori The Conditions Requisite for the Due Performance of Prayer in: The complete works of Saint Alphonsus de Liguori: the ascetical works, Volume 2. Redemptorist Fathers, 1926. p. 435. Intellectual pride inflicts itself upon everybody. Where it dwells there can be no other opinion in the house. Henry Edward Manning, Pastime Papers (London: Burns and Oates, 1892), p. 27. Pride and resentment are not indigenous in the human heart; and perhaps it is due to the gardener's innate love of the exotic that we take such pains to make them thrive. Never think of anyone as inferior to you. Open the inner Eye and you will see the One Glory shining in all creatures. Dhul-Nun al-Misri quoted in Ellen Kei Hua, ed., Meditations of the Masters, cited in Andrea Wiebers and David Wiebers, Souls Like Ourselves (Rochester, MN: Sojourn Press, 2000), p. 42. [P]ride always entails intense awareness of an inferior other. L'orgueil est l'ennemi constant de l'amour. Translation: Pride is the constant enemy of love. 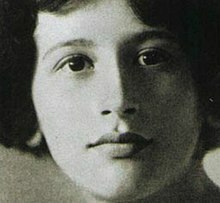 Anna de Noailles, Poéme de l'amour (1924), CXX. Pride: ignorant presumption that the qualities and status of the organism are due to merit. A. R. Orage, On Love, with Some Aphorisms and Other Essays (London: The Janus Press, 1957), "Aphorisms", p. 60. Alexander Pope, An Essay on Criticism (1709), line 203. She gives in large recruits of needful Pride. Alexander Pope, An Essay on Criticism (1709), line 205. Alexander Pope, An Essay on Criticism (1709), line 209. Alexander Pope, An Essay on Man (1733-34), Epistle I, line 123-124. Proverbs 16:18 (King James Version). William Shakespeare, As You Like It (c. 1599-1600), Act I, scene 2. William Shakespeare, As You Like It (c.1599-1600), Act II, scene 7, line 70. William Shakespeare, Cymbeline (1611), Act III, scene 3, line 24. And in her heart she scorns our poverty. William Shakespeare, Henry VI, Part II (c. 1590-91), Act I, scene 3, line 83. At length broke under me. William Shakespeare, Henry VIII (c. 1613), Act III, scene 2, line 358. He that is proud eats up himself: pride is his own glass, his own trumpet, his own chronicle; and whatever praises itself but in the deed, devours the deed in the praise. William Shakespeare, Troilus and Cressida (c. 1602), Act II, scene 3, line 164. William Shakespeare, Troilus and Cressida (c. 1602), Act II, scene 3, line 169. William Shakespeare, Troilus and Cressida (c. 1602), Act II, scene 3, line 187. William Shakespeare, Troilus and Cressida (c. 1602), Act III, scene 3, line 47. William Shakespeare, Twelfth Night (c. 1601-02), Act III, scene 1, line 138. Comes wisdom at the last. Sophocles, "Antigone", lines 1531-1538,Translation by Edward H. Plumptre. Instead of supposing that a work of art must be something that all can behold—a poem, a painting, a book, a great building—consider making your own life a work of art. You have yourself to begin with, and a time of uncertain duration to work on it. You do not have to be what you are, and even though you may be quite content with who you are, it will not be hard for you to think of something much greater that you might become. It need not be something spectacular or even something that will attract notice from others. What it will be is a kind of excellence that you project for yourself, and then attain—something that you can take a look at, with honest self-appraisal, and be proud of. Richard Taylor, Restoring Pride: The Lost Virtue of Our Age (1995), p. 64. Free at last, they took your life - they could not take your pride. U2, "Pride (In the Name of Love)", The Unforgettable Fire (1984). There is nothing that comes closer to true humility than the intelligence. It is impossible to feel pride in one’s intelligence at the moment when one really and truly exercises it. From blindness bold, and towering to the skies. Edward Young, Night Thoughts (1742-1745), Night VI, line 324. Quotes reported in Hoyt's New Cyclopedia Of Practical Quotations (1922), p. 632-33. Proceeds from want of sense, or want of thought. Wentworth Dillon, Essay on Translated Verse, line 161. Zu strenge Ford'rung ist verborgner Stolz. Too rigid scruples are concealed pride. Johann Wolfgang von Goethe, Iphigenia auf Tauris, IV. 4. 120. William Knox, Mortality (Lincoln's favorite hymn). For others' good, or melt at others' woe. Alexander Pope, Memory of an Unfortunate Lady (1717), line 4. Is this that haughty, gallant, gay Lothario? Nicholas Rowe, The Fair Penitent (1703), Act V, scene 1, line 37. Taken from Massinger's Fatal Dowry. John Ruskin, True and Beautiful, Morals and Religion, Conception of God, p. 426. The Lords of creation men we call. Lords of Creation; attributed by Hoyt's to Emily Anne Shuldham; reported as a folk song of unknown authorship in Songs of Ireland and Other Lands (1847), volume 2, p. 253. There is no passion that steals into the heart more imperceptibly and covers itself under more disguises than pride. Sinners, remember this: It is not so much the sense of your unworthiness as your pride that keeps you from a blessed closing with the Saviour. Pride is the master sin of the devil. Edwin Hubbell Chapin, p. 484. It is with men as with wheat; the light heads are erect even in the presence of Omnipotence, but the full heads bow in reverence before Him. Of all the marvelous works of God, perhaps there is nothing that angels behold with such astonishment as a proud man. Charles Caleb Colton, p. 486. Pride breakfasted with Plenty, dined with Poverty, and supped with Infamy. They most assume who know the least. Pride looks back upon its past deeds, and calculating with nicety what it has done, it commits itself to rest; whereas humility looks to that which is before, and discovering how much ground remains to be trodden, it is active and vigilant. Having gained one height, pride looks down with complacency on that which is beneath it; humility looks up to a higher and yet higher elevation. The one keeps us on this earth, which is congenial to its nature; the other directs our eye, and tends to lift us up to heaven. If thou desire the love of God and man, be humble; for the proud heart as it loves none but itself, so it is beloved of none but itself. The voice of humility is God's music, and the silence of humility is God's rhetoric. Humility enforces where neither virtue nor strength can prevail, nor reason. He who thinks his place below him will certainly be below his place. Sir Henry Savile, p. 486. Pride is not the heritage of man; humility should dwell with frailty, and atone for ignorance, error, and imperfection. Pride is the growth of blindness and darkness; humility, the product of light and knowledge; and whilst pride has its origin in a mistaken or delusive estimate of things, humility is as much the offspring of truth as the parent of virtue. This page was last edited on 1 March 2019, at 03:36.